•Another cool colorizing & restoration job I was contracted to do. 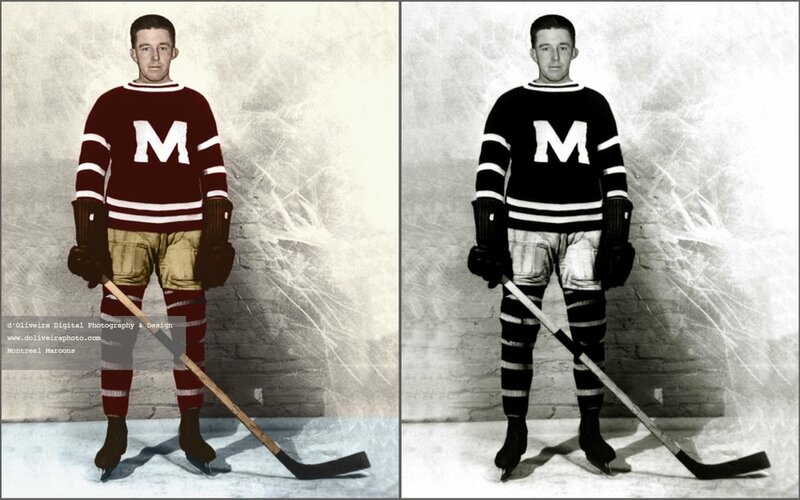 The Montreal Maroons! 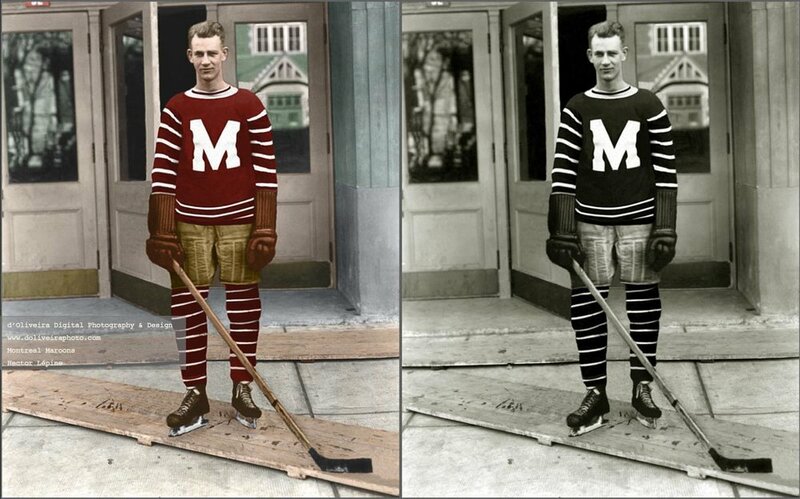 They played in the NHL from 1924 to 1938, winning the Stanley Cup in 1926 and 1935. They were the last non-Original Six team to win the Stanley Cup until the expansion Philadelphia Flyers won in 1974. Founded as a team for the English community in Montreal, they shared their home city with the Canadiens, who eventually came under the same ownership as the Maroons but were intended to appeal to the French Canadian population. 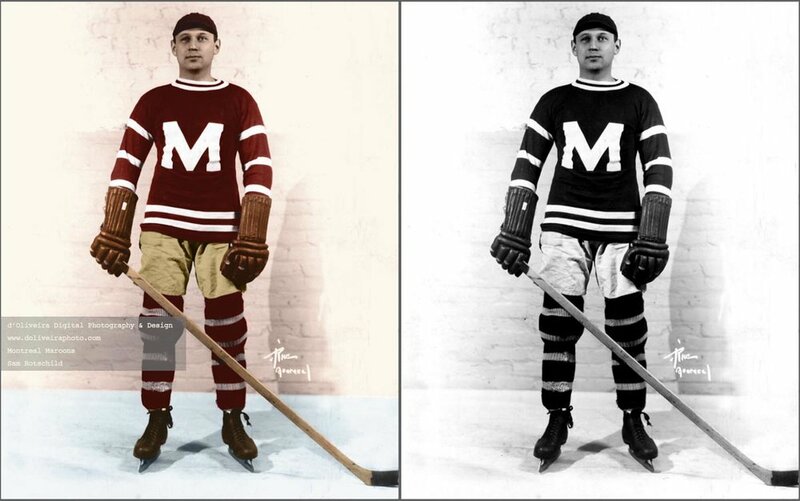 This was the first time since 1918, when the Montreal Wanderers folded, that Montreal would have a second hockey team. 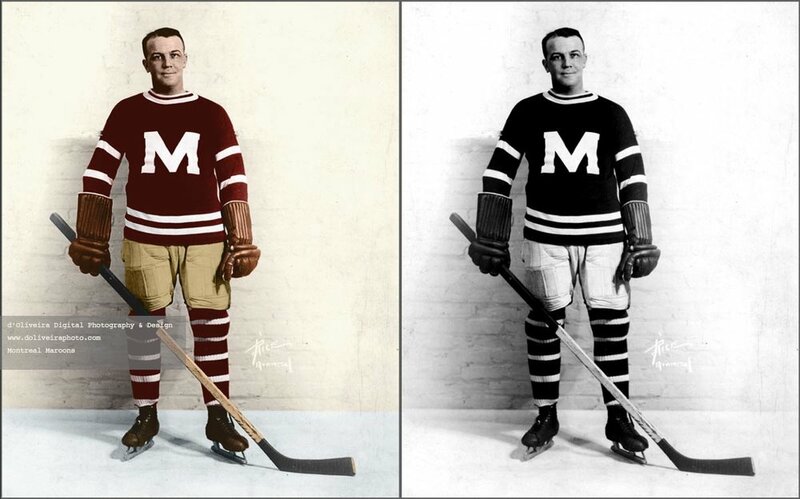 In order to accommodate the Maroons, a new arena was built for them in 1924, the Montreal Forum. 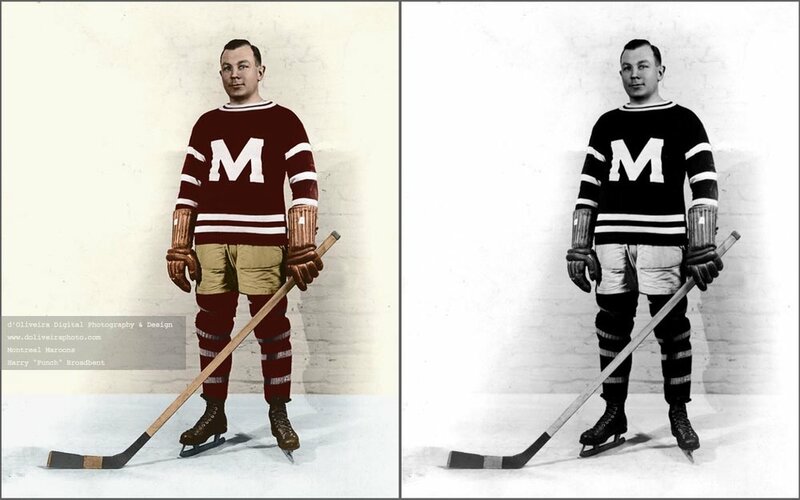 The Maroons were a highly competitive team, winning the Stanley Cup twice and finishing first in their division twice more. Some of the best players of the era played for the Maroons; eleven players would be elected to the Hockey Hall of Fame, while five of the six head coaches of the Maroons were also honoured. Financial difficulties resulting from the Great Depression led to the Maroons suspending play after 1938. Despite efforts to revive the team, the franchise was cancelled in 1947, leaving the Canadiens as the sole team in Montreal. Since the Maroons' demise, no NHL team that has won a Stanley Cup at any point in its history has subsequently folded or relocated.